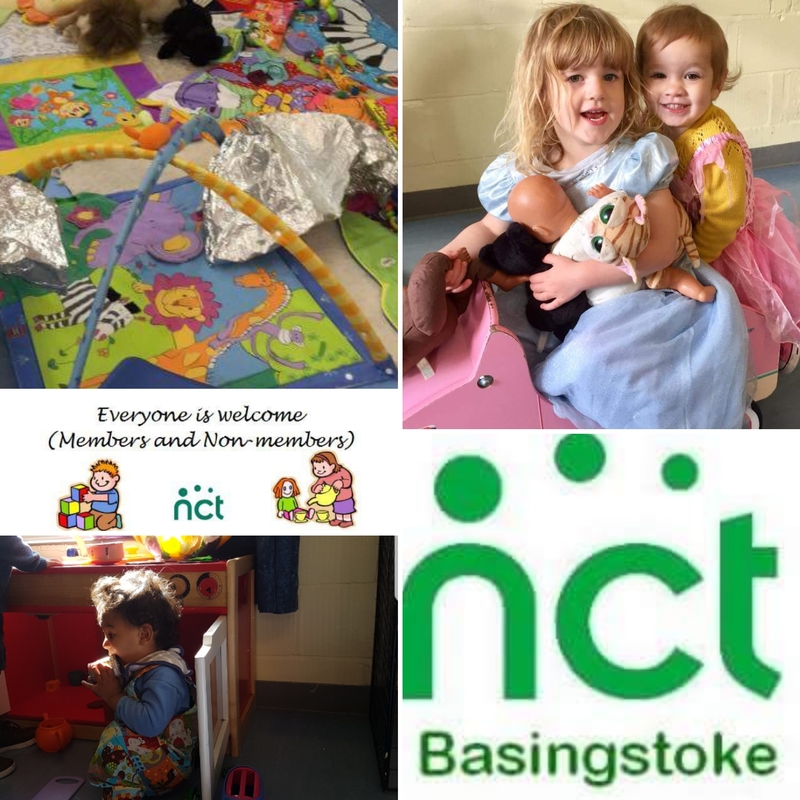 On NorthHantsMum a frequently asked question is for recommendations on good sessions to take your little ones to. One place that consistently comes up is The NCT Coffee & Chat, therefore one of the NCT volunteers has written the below article to give you some more information. Thank you to Juliet for putting this post together on wordpress! Why should you try it out ?? VARIED – We have LOTS of toys and things to do, which we alternate frequently. So whether your child is into role play, cars, sensory toys, dress up, music, train sets or building they will surely love something. ADAPTABLE – Come on time or late, whatever is best for you on the day. Or even stay for just 20 mins if you are having one of those days you just need to escape the house for a little bit. GOOD VALUE FOR MONEY – We just ask for a £2 donation which includes drinks/refreshments. FLEXIBLE – No up front payment and no bookings. Just come along when you can. 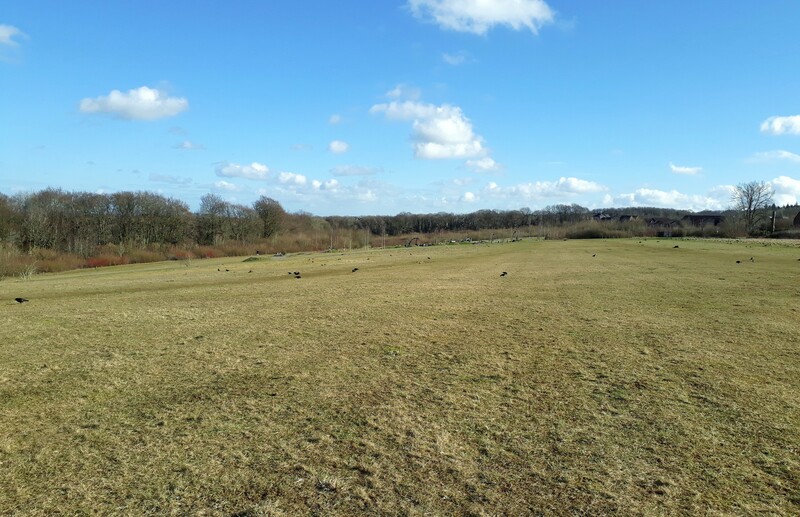 ACCESIBLE – Walk from town or use the free car park onsite. My response, as well as those received from the community, are below in no particular order. Thank you to Juliet for today’s Review!! I was so excited to hear that there would be a new cafe opening up in Beggarwood. I am a serious lover of coffee and cake and was through the doors on opening day, and I was not disappointed. 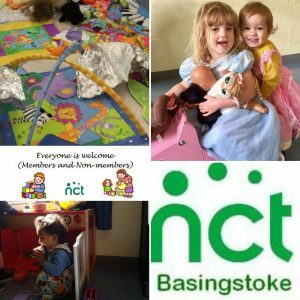 To date, I have found lots of cafes in Basingstoke that cater for young children, but only one where it has entertained my toddlers long enough for me to actually drink a whole cup of hot coffee before the whining or tantrums start. Until now that is. Cafe in the Park seems to be aimed at all, and this includes those families with young children. The cafe is based at the new Beggarwood Community Centre, at the top of Beggarwood Park with big glass windows offering fabulous views over the park. 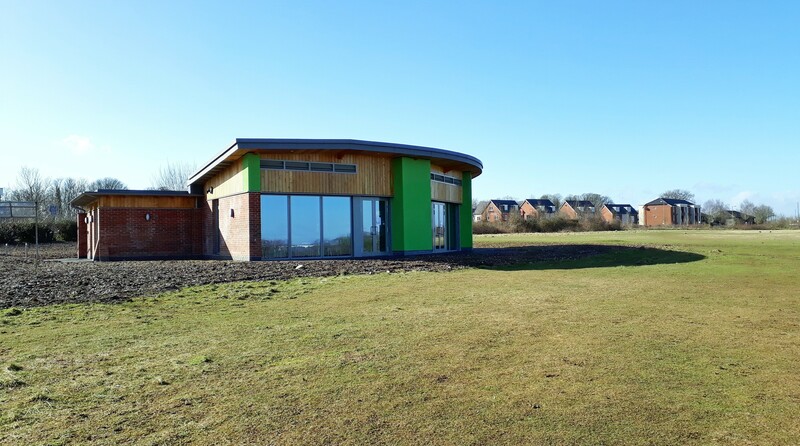 The Community Centre has already started filling with activities, including Kids Kan Dance and Pop Up Play Village, but check the Facebook page of Hatch Warren Community Centre (who are running both centres) for more information and classes. 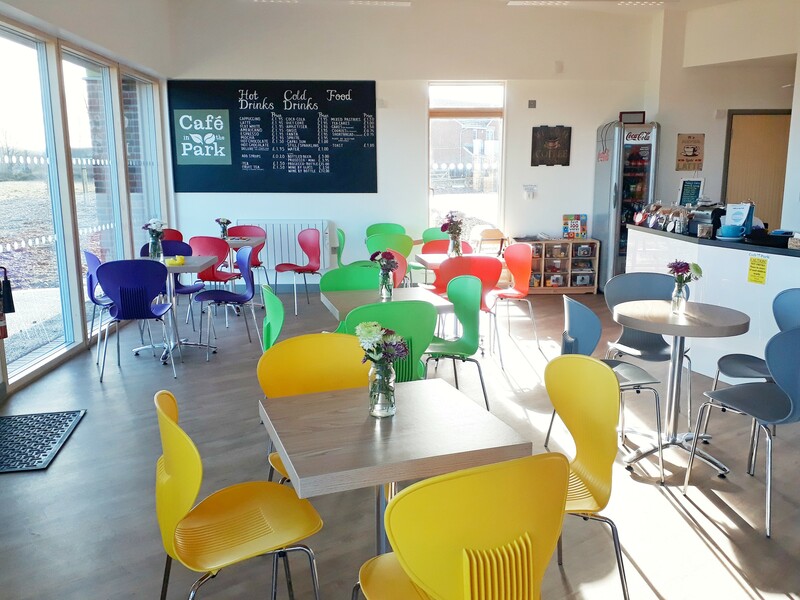 Cafe in the Park is run by a lovely group of people who seem really excited at the new opportunity and are actively seeking ways to adapt the cafe to suit the community. This includes holding a Dog Walkers’ Forum in March to discuss how to make the cafe more accessible to dog walkers. The part which interests me the most though, for obvious reasons, is what they have made available to occupy young children. 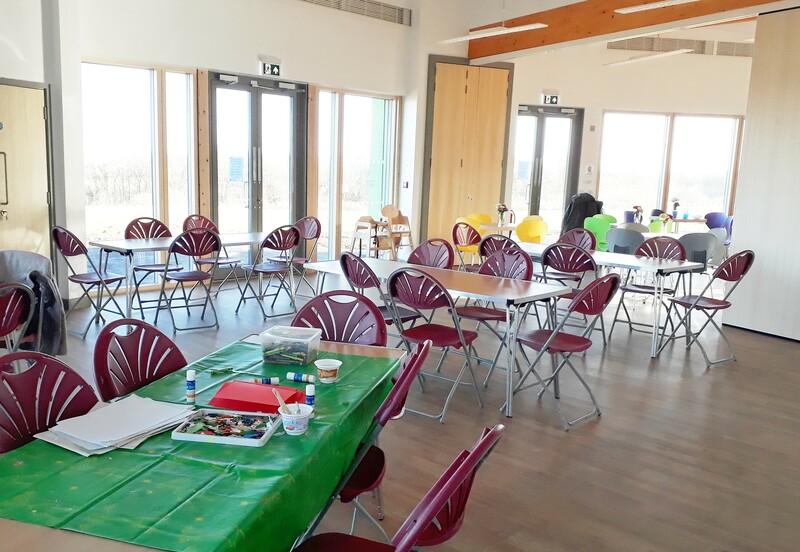 As you enter the community centre, there is a table in the entrance area with colouring books and crayons, and a few tables and chairs close by. There is a good selection of toys in the cafe area and our toddlers delighted in going back and forth, exchanging toys for new ones. In fact we were ready to leave way before they were, not something that happens often. As an added bonus, I returned during the week and the main hall (which will going forward be closed off and hired out to local groups and for parties) was open with crafts available for the children. 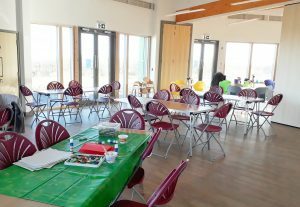 There was play dough, card making and colouring, and lots of toys laid out on tables. Sadly (for me) this will not normally be available. They are, however, hoping to open this area up again during the school holidays, if possible, and have the crafts available once again. 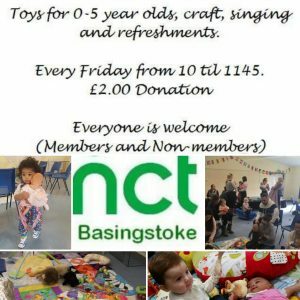 This is an awesome idea and I really hope it happens, especially as the vast majority of playgroups and similar groups for little ones close during the holidays. When I left today the main hall was full of kids playing, so there is definitely a need. 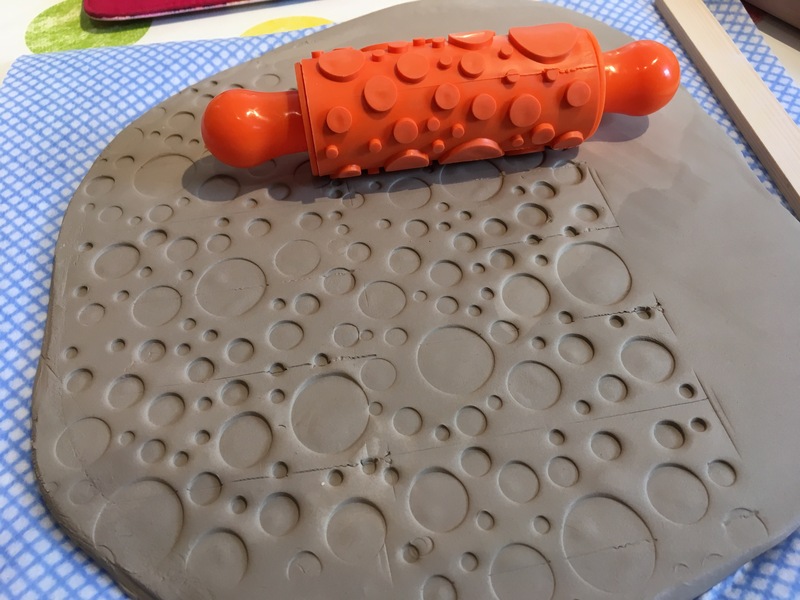 In the meantime, they will be looking to have a craft available on the table in the entrance hall during term time. 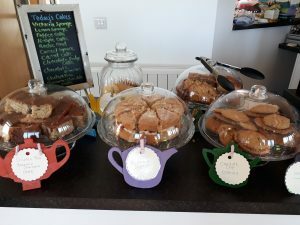 There is a really good selection of hot and cold drinks, cakes and cookies, with prosecco and wine also available (so tempting!) I was also really impressed with the prices of the coffees and cakes. There are gluten and dairy free options available. 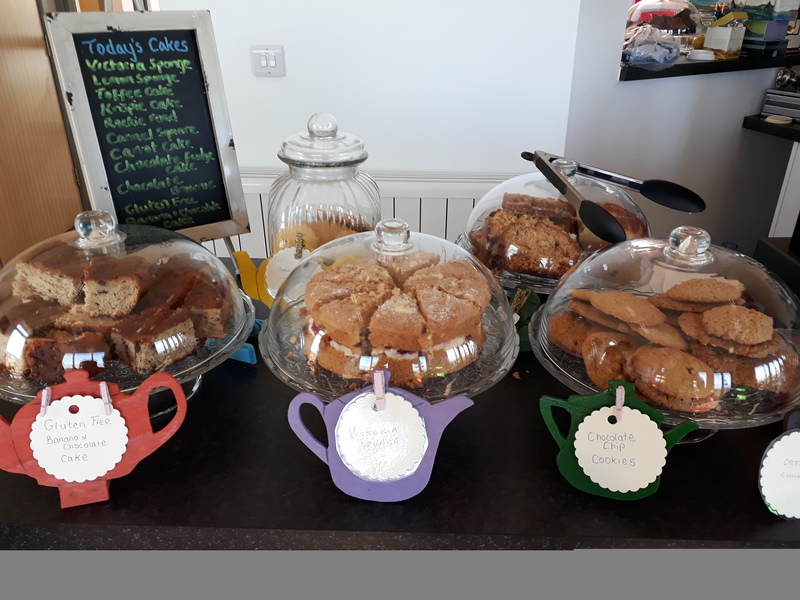 I was advised that all cakes are made fresh and they are open to cater for any dietary requirements, so make sure you mention if you have any. I feel I need to make a separate comment about how good the cake was (and yes, I tried a few, just to be sure). 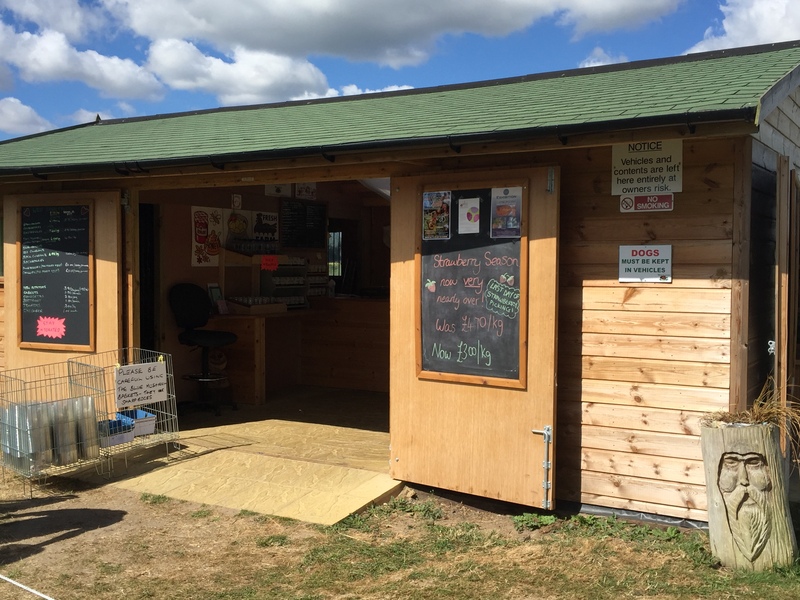 Take-away hot drinks are available and they hope to have ice creams on sale for when the warmer weather comes. 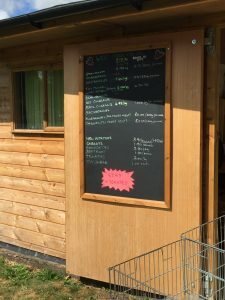 There are also free dog biscuits, however, dogs are not permitted in the cafe but there is a dog station outside. There are toilets and baby change facilities at the community centre and high chairs are available in the cafe. There is a small car park to the front of the centre with additional parking available at the Beggarwood shops’ car park, next to the centre. 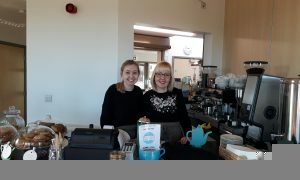 The cafe will be open Wednesdays to Fridays, 9am-11am and 3pm-5pm, and weekends 9am-12noon. 5 out of 5. I have had some amazing visits to Cafe in the Park so far. We’ve been as a family, with friends, and a quiet visit with just me and one of our boys. Each visit has been brilliant, we are definitely going to be regulars. Members of the NHM community responded with the below, many thanks for your contributions! Thank you very much also to Juliet for putting this post together! Thank you very much to today’s NHM Secret Reviewer! 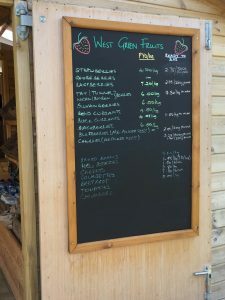 As it happened, I had already heard of a place called West Green Fruits where you can pick your own produce, and my friend’s experience made me keen to try it out! 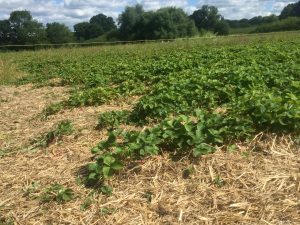 I had never been to a PYO before, I had been blackberry picking in ‘the wilds’, but I was really intrigued by this and thought it would be a great introduction to where food comes from. My boys were 2.5 yrs so I was a little concerned they would be a bit too young to get it. Fortunately, I was very wrong. 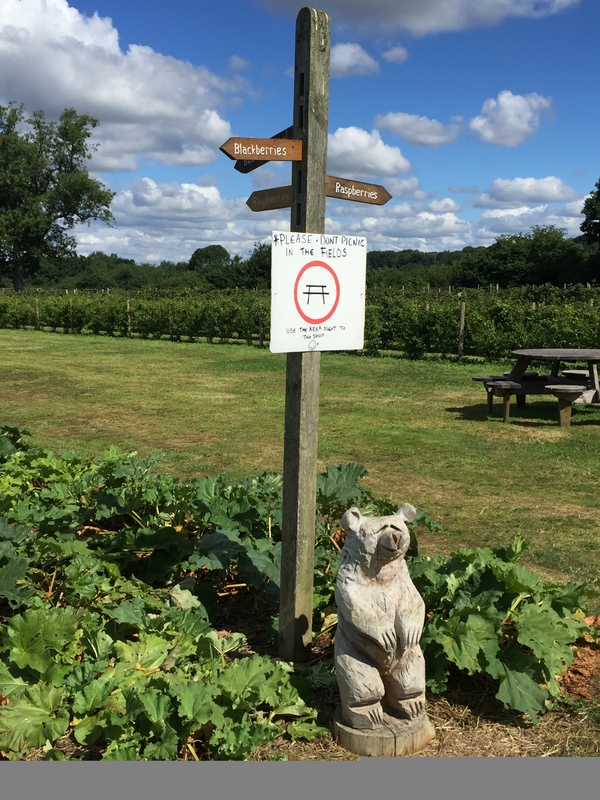 West Green Fruits is situated just outside Hartley Wintney, about 15 minutes from central Basingstoke. They are open during the PYO season, which started on 10th June this year. It is a family run business set in 20 acres of farmland and offers a range of fruit including strawberries, raspberries, rhubarb, gooseberries, tayberries and more. 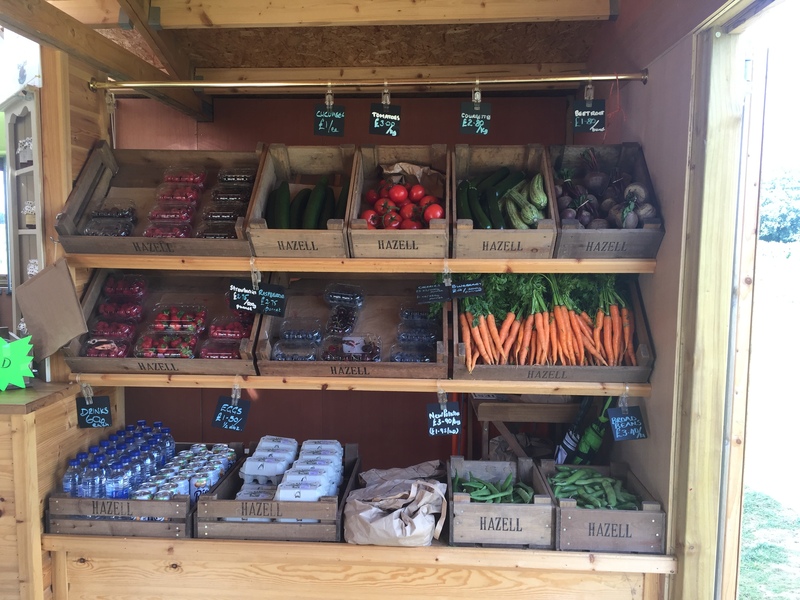 There is a small shop selling their own homemade jams and Jella’s Ice Cream, made with their produce. 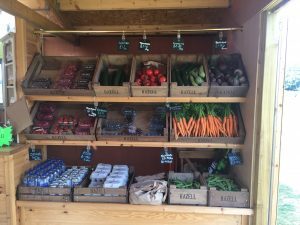 They also have produce ready picked for those who would rather not pick their own. 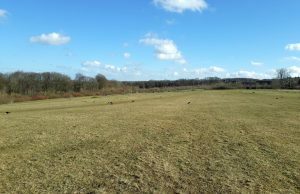 The area consists of a car park, small building and acres and acres of fields. It is a stunning setting. 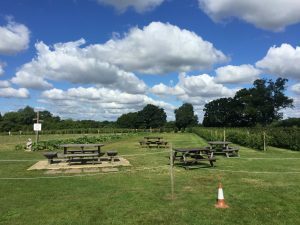 There is also a picnic area and grass labyrinth, although we didn’t get to see these. 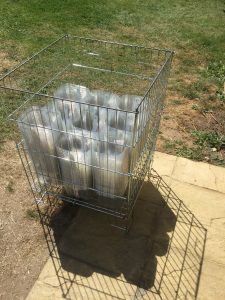 You collect your punnets from the building by the car park. 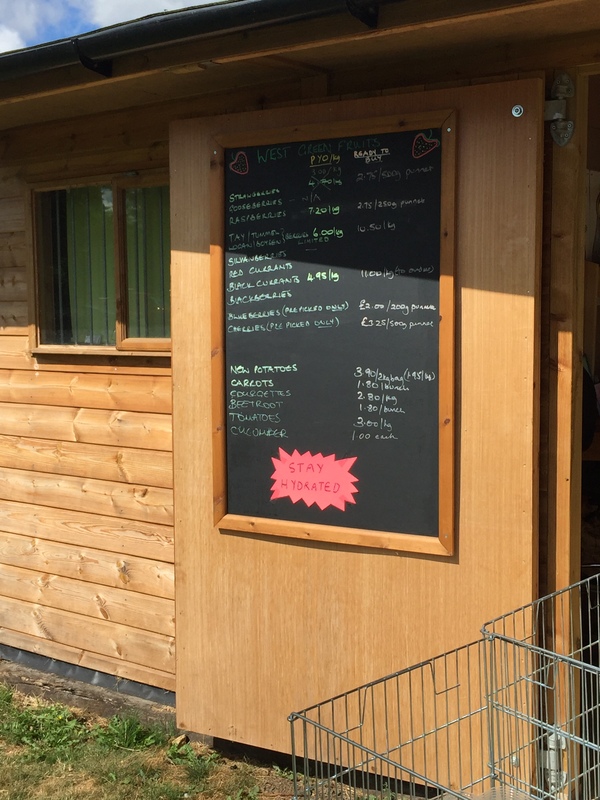 This is also where you bring back your produce to weigh and houses the shop. The produce currently available for picking are displayed on a board and the lovely ladies – and I do mean lovely, so helpful and chatty with the little ones too – point you in the direction of where to go. 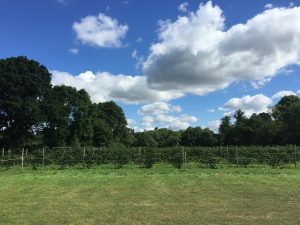 It was wonderful to see both my boys happily trotting along, excitedly carrying their punnets, following the trail. 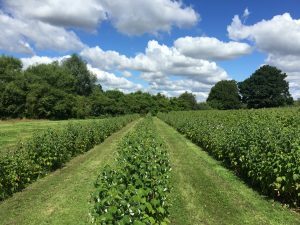 The available fields are well marked out and there was an abundance of fruit to pick. Amazingly both my boys loved the experience, carefully picking out each fruit. I say amazingly as one of my boys is not very good at standing still, so to see him delicately choosing and picking each piece of fruit was incredible. 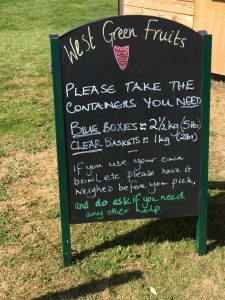 After quite some time we wandered back to the kiosk to pay, and definitely needed to deposit into the ‘sin bin’ (an honesty box for ‘lost’ fruit and the contents going to charity) – red streaked faces making that pretty obvious! 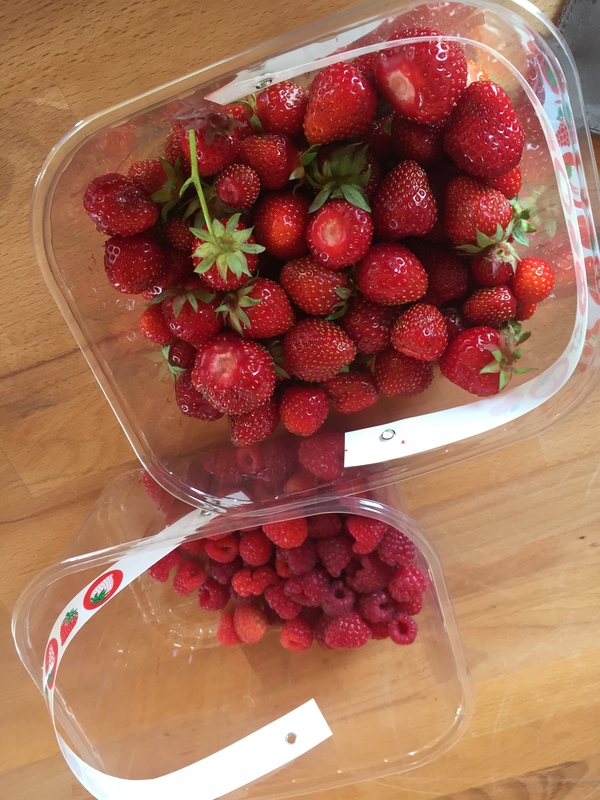 We’ve been twice now, strawberries then raspberries, and will definitely be going back soon before the season ends. 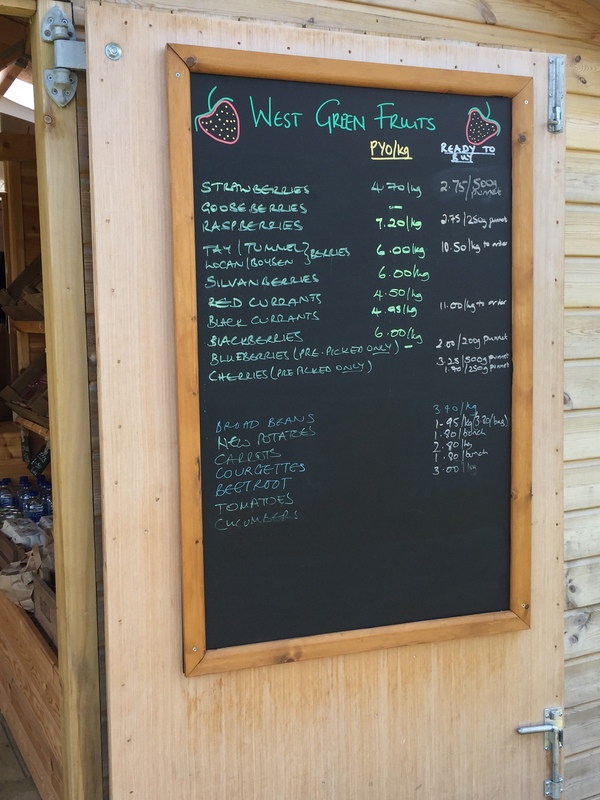 West Green Fruits is seasonal, you will need to keep an eye on the West Green Fruits Facebook Page for their opening dates and for the produce that is currently available. Current opening hours are also displayed there. Worth noting, there are no facilities on site. 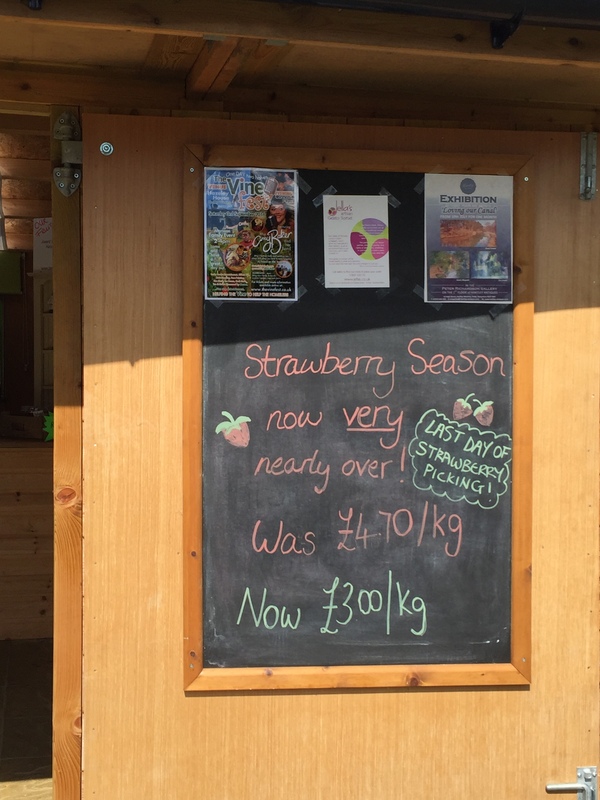 You pay for what you pick, prices are available at the kiosk and based on weight. 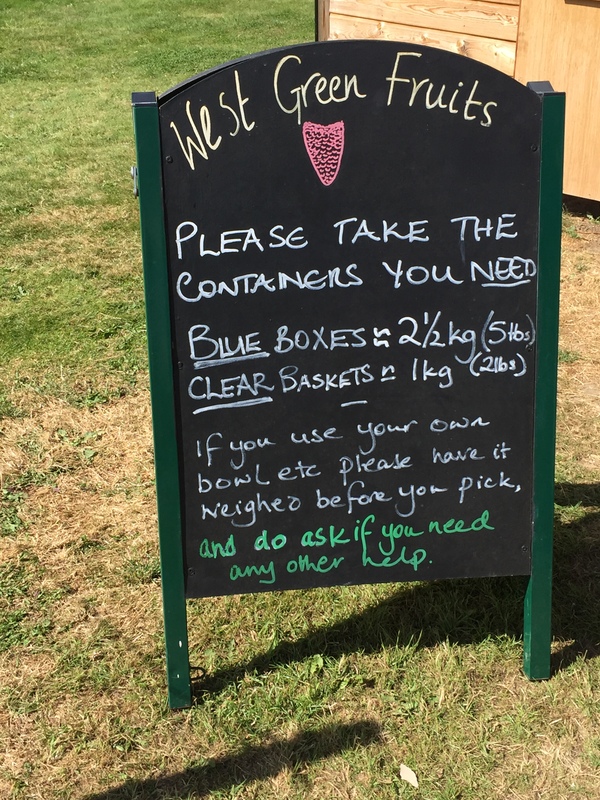 I think this is brilliant, as the picking is an experience in itself yet all you are paying for is the produce. 5, totally unique experience that we all loved. Pottery painting, great time for Mothers Day (11th March) present making! Making ‘Love Mummy’ plaques and Jewellery dish. £14 including drink and a snack! 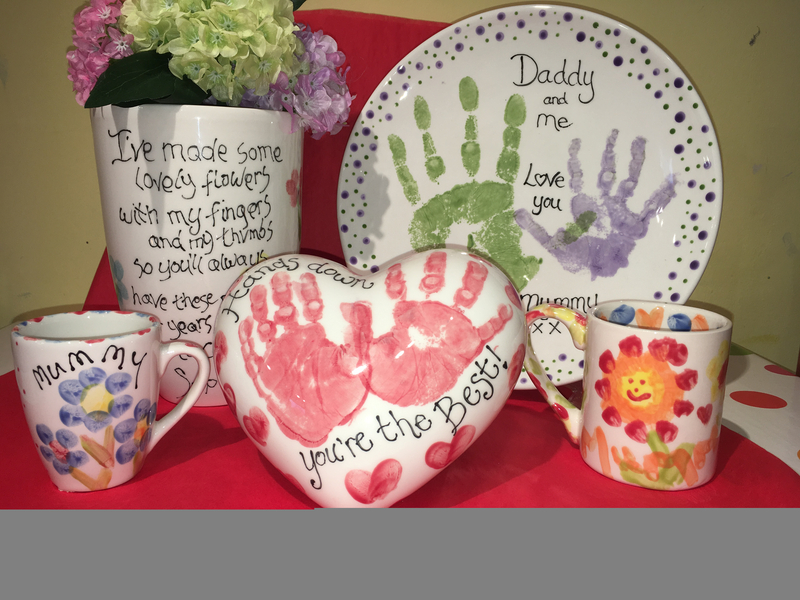 Daddy and children painting sessions also available to give Mummy a break and to create a lovely painted present for her! 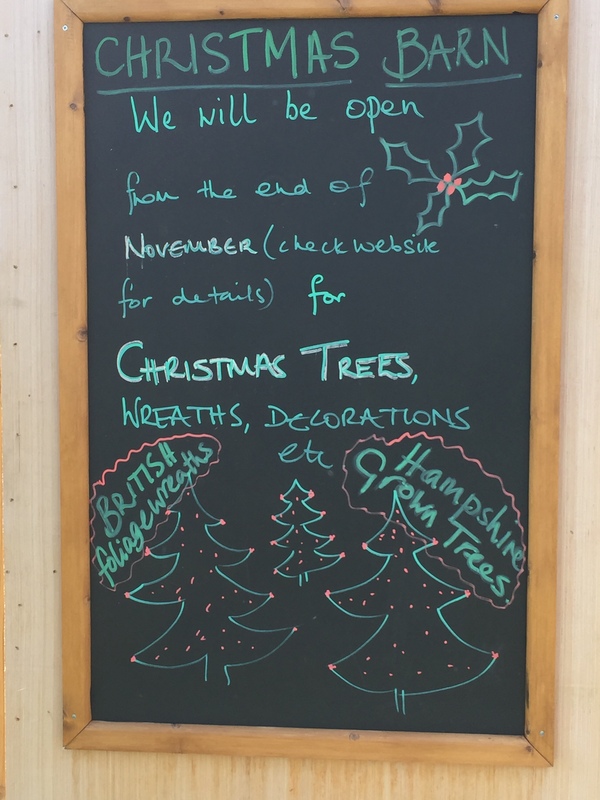 Please email me of any events or activities that need to be added to this post: NorthHantsMum@Gmail.com. Thanks! In February we are holding 2 Holiday Clubs: Our OSC Holiday Club (arts and craft, games, free play, playing outside etc) and you can choose either 8am-6pm for £25 a day/£110 full week or 9am-3pm for £15 a day/£75 full week.Spaces are very limited in this club so please book soon. Secondly is our Performing Arts Holiday Club, the theme in February is fairy tales told from the villains point of view. 9am-3.30pm. Only £50 for the full week if paid before 31st January or £60 thereafter. Our phone lines are currently down so please email to book your child/ren on. If you wish to discuss on phone please email your number and I can ring you back. List of days out from North Hants Mum! One of the ways babies communicate with their parents and carers is by crying. When we hear that cry it can trigger different emotions for us such as sadness, frustration or even anger. It’s usually an adult’s natural instinct when they hear a baby cry to soothe and help the baby back to state of contentment, and to stop the crying. I’m Rosanna, a mum of two under 5s and the instructor at Yoga Babes mother and baby Yoga in Hook, Hampshire. My children may cry (just a little!) less than they did when they were young, but I sure do remember those days well. I have been practicing yoga since before having my children, during pregnancy, labour and birth, and ever since. There are many yoga-based techniques that have changed my life as a parent, and outside of that. In this post I’m going to share with you five tips to calm a crying or tired baby that I’ve learnt through doing yoga, training as a baby yoga instructor and from my own experiences as a parent. 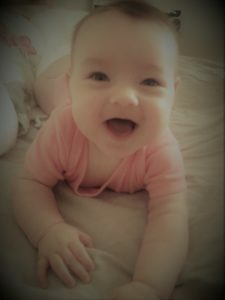 The challenge – it’s not always easy to know the reason for your baby’s cry, which can be upsetting and frustrating for parents. We have to try and remember that crying is a very normal part of a baby’s early years, and much like adults – all babies are different. Some babies will cry more than others, some babies will laugh more than others and some babies will sleep more than others. They are each beautifully different in their own unique way. There are many reasons for a baby to cry including hunger, tiredness, boredom, loneliness, pain, feeling too cold or too hot or discomfort from things like wind or constipation. Whatever the reason for a baby crying, it’s important to remember the power of physical contact between babies and their parents or carer. Touch reduces stress levels for baby and parent, so holding your baby is a good place to start when they are crying, unsettled or overtired. The first, perhaps obvious port of call would be checking if your baby is hungry, as that is one of the main reasons for a young baby to cry. It might not matter that you fed them one hour ago or even less, young babies are growing at such a rapid rate compared to the rest of their lives, so their hunger can be extremely regular and have no pattern whatsoever. Even though it can be tiring, feed your baby whenever they are hungry rather than trying to stick to a timetable, as this can cause unnecessary stress for both you and your baby. If a baby is fed and changed and there is no other known discomfort, a huge reason for babies to cry is because they want the comfort of being held. Some parents try to fight this fact – so it’s important to realise that after spending nine months being permanently held in your womb, it’s going to take a baby some time to gain independence. Perhaps weeks, perhaps months, or even years, but it’s fundamental for your baby’s emotional development that you support them carefully through this transition to living in the outside world. I know from my youngest son who needed to be held a lot, that it can be exhausting for parents to be attached to their babies for long periods of time, so see if you can get help from your partner, friends and family if you need some time out. Baby wraps, slings and carriers are also a great help so you can have your hands free – I couldn’t have lived without them! Try and enjoy these cuddles and this physical connection with your baby when you can, (rather than resenting it) because it doesn’t last forever. Holding your baby gives them a deep sense of security, they can usually feel your heartbeat, your warmth, hear your voice and your breathing which is extremely reassuring for a small baby. There are many different ways to hold your baby, many of which we practice in my baby yoga class. Different holds can aid different needs, such as digestion, comfort and sleeping. If you can move while holding your baby, all the better! I was so pleased when I found that I could settle my son’s 6pm (and 10pm, and 3am etc etc…!) cries by holding him or popping him in the baby wrap and walking around my lounge. Even though it was small, the little movement I could do by walking or simply rocking him side to side saved me hours of his crying if I had left him crying away from me. The movement can relieve stress for parents too, providing rhythm and mindfulness to relax the body and mind. In yoga we often use different types of walking for strength, balance, coordination and relaxation. 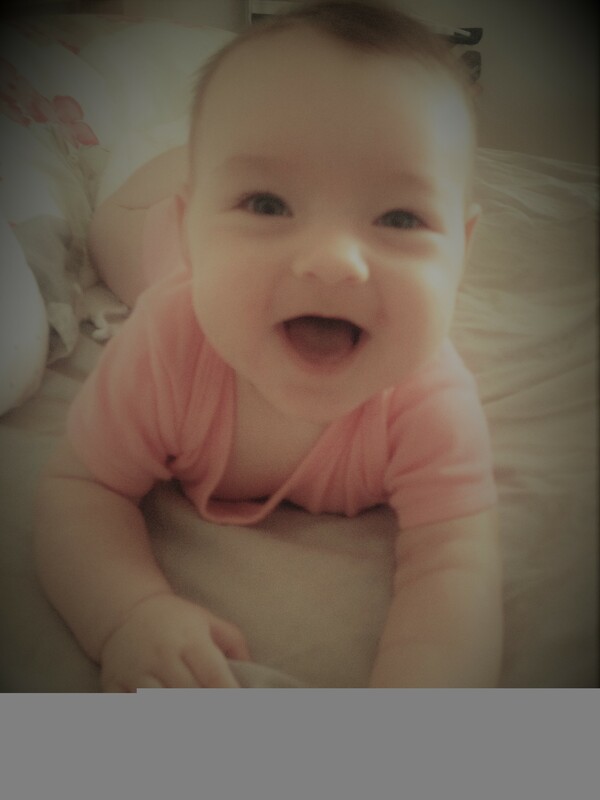 Even if you don’t agree, your singing voice is the best one there is as far as your baby is concerned! Singing is the perfect way to connect with your baby and release endorphins for babies and parents, which in turn relaxes them when they are feeling unsettled. Singing is also key for brain development in young babies and helps them with the early parts of language development. If your baby is crying because they are bored or frustrated, singing is a brilliant way to engage them and entertain them out of crying. 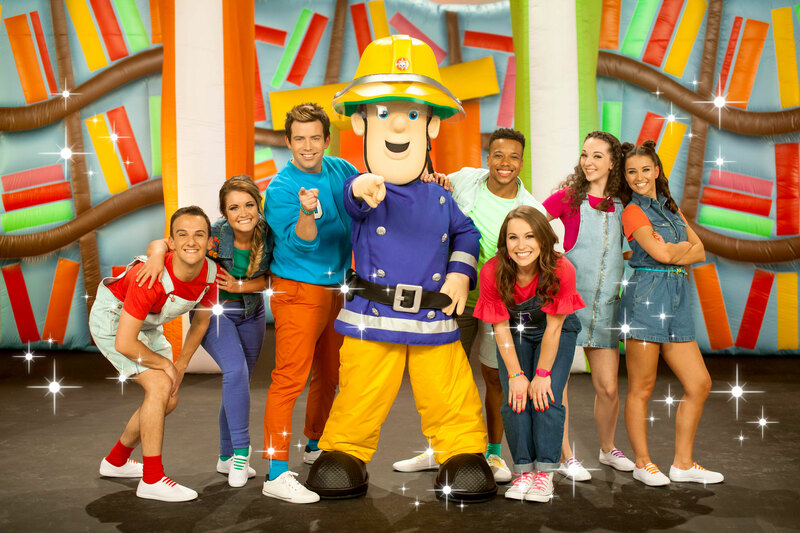 It doesn’t matter what you sing – pop songs, nursery rhymes, lullabies or even (my favourite) – made up songs! Your baby is sure to love the sound of your soothing voice to settle them. In my baby yoga class, we usually use singing with movement which is a great combination to relax your baby and shift them towards a positive mood. If you have a baby that gets overtired or cries at naptime or bedtime you might find that what you do with them during the daytime makes a big difference. Baby yoga moves are gentle movements you can do with your baby that involve strengthening their limbs, muscles and body, improve coordination and balance and stimulate your baby’s senses. Doing all of these things can make your baby to feel tired, helping them to feel relaxed, settled and fall asleep more easily. 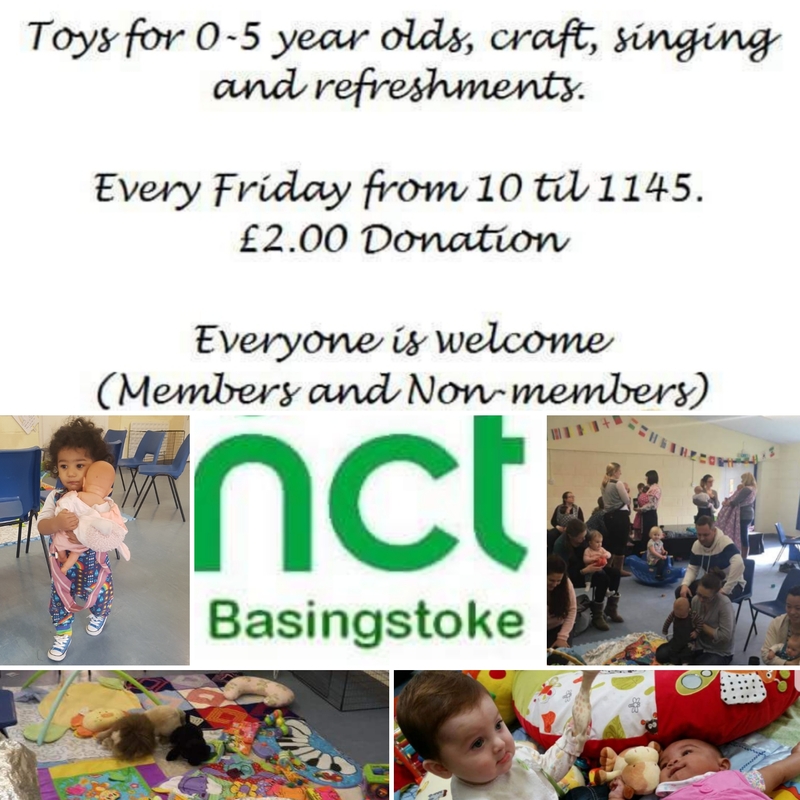 This part is definitely for babies and parents or carers. Babies will pick up on our stress, sadness, frustration and anger and in turn may exhibit similar emotions that make them cry or become unsettled. When we relax it gives our minds the space and time to process emotions in an orderly fashion, rather than over-react to them. Physical relaxation can promote mental and emotional relaxation, and the great news is that you can practice relaxation with your baby, to benefit you both. I remember that when I had small babies, it was too easy to be in a continual cycle of ticking jobs off my list. Laundry, cleaning, tidying, sterilising bottles, responding to emails and messages, getting a changing bag ready for the next outing, even just trying to plan your day. The list goes on… But on reflection I asked myself some questions. How important is it to get ALL these things done today? What will happen if don’t? Do I feel at my best when I have a constant list of to-dos? Are they more important than spending time connecting and bonding with my baby? Are they more important than spending ten minutes to relax and restore my body and mind before carrying on with the day? Maybe you can ponder your own answers to these questions. No one is suggesting that you live in a pigsty and throw in the towel on any jobs whatsoever, but more that you aim to get some balance in your daily activities. We can do this by making time for relaxation. A result of your relaxed self will most likely be a relaxed baby by your side. By doing a short relaxation exercise that involves focusing on your breathing, sounds, your bodily sensations or simply just lying still can create a luxurious feeling of calm for you and your baby. Try it lying with your baby, where they might focus on your touch, breath or heartbeat, or just mirror your stillness. This takes practice for babies too! It might be a good idea to try a relaxation half an hour before your baby’s planned bedtime or nap time, so that they have wound down before bed, rather than trying to do it a time when they’ve been become overtired and worked up. If you get the chance, if someone else is around to watch your baby, try a relaxation on your own too and enjoy the peace and clarity it can bring you. 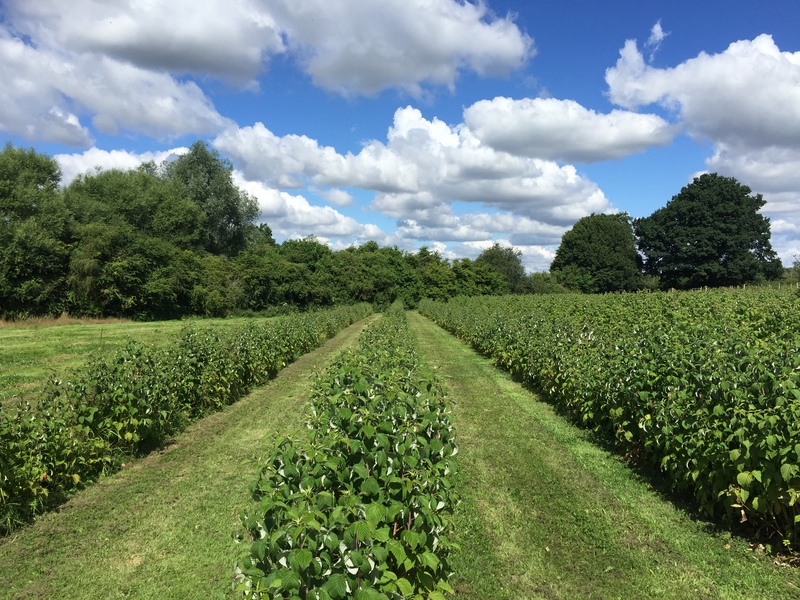 It’s important not to try and force a relaxed feeling as that can have the opposite effect, but by practising on focusing on our physical self or perhaps an idyllic visualisation, the relaxation can come naturally. There is no pass or fail here either, some days you may not be able to reach a feeling of relaxation – that’s ok, just try again tomorrow. We practice relaxation in my baby yoga classes because for many (myself included) this is not always an easy activity to learn. But the more your practice the more you realise the need for this wonderful pastime and its life changing benefits – all you need is yourself. Milkshake! 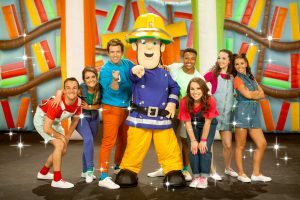 favourites Bob the Builder, Little Princess, Noddy, Fireman Sam, Winnie and Wilbur, Wissper, and Milkshake’s very own Milkshake! Monkey plus two presenters take you on a journey through the world’s favourite fairy tales in an all-singing, all-dancing musical extravaganza. 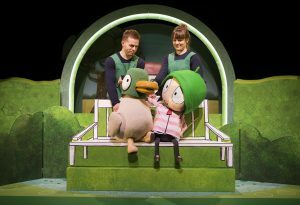 Join Sarah and Duck, and a host of your favourite friends from the BAFTA Award-winning CBeebies show including The Ribbon Sisters, The Shallots, Flamingo & John and Umbrella, as they plan a birthday party for Scarf Lady in their garden. Told through a fantastic blend of puppetry, storytelling and music, you and your children will be taken on a magical adventure.